Bowen Quarter Horses is a small quarter horse breeding farm located in Northeast/Central Alabama. We raise and sell quality AQHA & APHA Western Pleasure Horses. Our babies have outstanding movement, conformation, dispositions and great minds. We select only mares of proven bloodlines and of exceptional quality. They are daughters of World Champions, Leading Sires, Hall of Fame Sires, Performance (Western Pleasure) ROM and Superior Award Earners. 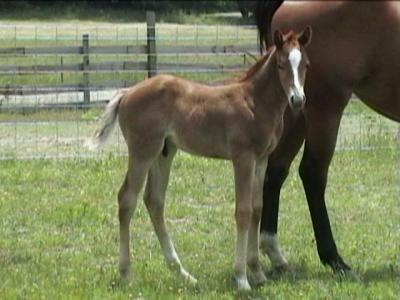 Foals are up to date on all shots and are wormed every 30 days. They are halter broke, lead, load and stand for the farrier. On occasion we have a small selection of non-show quarter horses and paint horses available for your consideration if you are looking for a good trail riding prospect and have no interest in showing. “Chip” was trained western pleasure but never shown due to other commitments of the previous owner/trainer and injury. When we purchased “Chip” he was blind. Per the Equine Opthamologist we had examine “Chip” it was determined that he is blind from detached retinas from trauma/injury and subsequent infection. Our broodmares are of champion pedigrees. They are by AQHA Quarter Horse ROM and Superior Performance Point earners, AQHA Champions and World Champions as well as on Equistat Leading Sires List. Our broodmares are daughters of Mr Rusty Zipper, Tender Teddy, Simply Hot, Impulsions and Coosa. They are in foal to sons of Zips Chocolate Chip and Zippos Mr Good Bar. Bowen Quarter Horse Farms is conviently located in Northeast/Central Alabama, approximately 15 miles off I20 and 7 miles off I59. We are 45 minutes NE of Birmingham, AL and 15 minutes SW of Gadsden, AL.